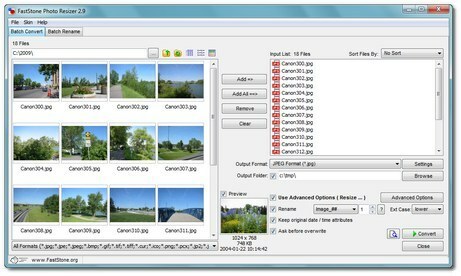 FastStone Photo Resizer is an image converter and renaming tool that intends to enable users to convert, rename, resize, crop, rotate, change color depth, add text and watermarks to images in a quick and easy batch mode. Drag and Drop mouse operation is well supported. Added "Expand Mode" option to the Canvas tab in "Advanced Options"
Added "Border" effects in "Advanced Options"
Added more options to "Crop" in "Advanced Options"